Poly-Control has taken advantage of the new features in the Z-Wave Plus certification program in a new range of smart clocks for the connected home market. The next generation of smart lock are due out in spring this year and will offer Z-Wave Plus' richer feature sets such as 250 percent higher data rate. 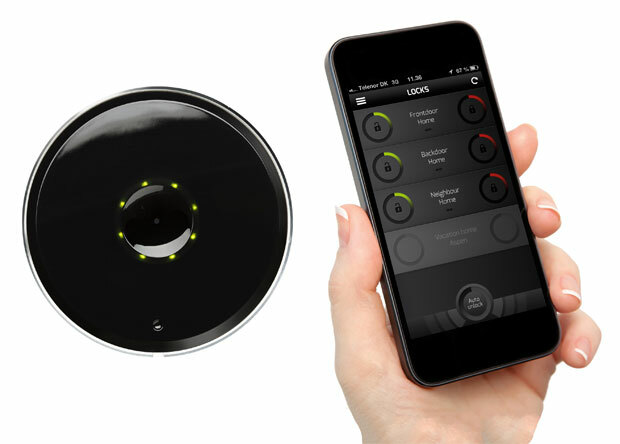 With your iOS or Android smart phone you can lock and unlock your home doors, no keys needed. A log system enables tracking of who enters and exits and when. Along with Bluetooth Smart compatibility, Danalock integrates seamlessly with Z-Wave home automation systems, so that an event in the lock triggers some other in the home. Z-Wave Plus certified products are based on the 500 Series hardware platform (5th generation Z-Wave) and offers richer feature set; 400 percent larger memory footprint;50 percent longer range; 67 percent lower power consumption, and other advanced features. All certified products are fully backward compatible with product based on earlier versions of Z-Wave, and are fully interoperable between brands. Poly-Control Danalock is compatible with Z-Wave home automation gateways, such as HomeDepot's WINK, MiCasaVerde Vera, Almondplus, Home Center 2 Fibaro, Homeseer 3, RaZberry, SmartThings, Zipato, Northq, Prodea Systems, among others, and interacts seamlessly with thousands of Z-Wave compatible smart products.